Please see the full response below. The Scottish Kinship Care Alliance is the national network of Kinship Care support groups across Scotland. 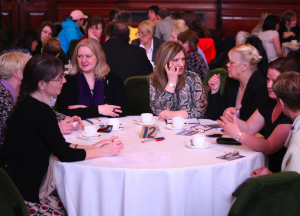 We represent groups from Dundee to Dumfries and are rapidly expanding. This response refers only to the sections of the Bill relevant to Kinship Care. We question the rationale of the Bill to reduce the number of formal Kinship Care placements, and Social Work support for them. Discrimination between the support offered to children in Kinship, and other forms of care, is a violation of the European Convention on Human Rights. We are concerned that the views of Kinship Carers have not been adequately considered during this consultation. Current legislation (section 11) is not fully utilized due to (largely financial) barriers at local authority level. These barriers may prevent proper use of the Kinship Care Order. The current review of financial allowances for Kinship Care must not be de-coupled from proposals in this Bill to ensure that overall support increases, and does not decrease. The Kinship Care Order should place a duty on local authorities to primarily provide priority access to specialist psychological and educational services, at minimum as currently available to Looked After Children. Kinship Carers should be closely involved alongside local authorities in prioritising the ‘package of entitlements’ to be offered under a Kinship Care Order. We applaud the moves of the Kinship Care Order to reconcile the current artificial distinction between formal and informal Kinship Carers. Support offered under the Kinship Care Order should be centred on the needs of the child rather than the previous legal status of the Kinship Carer. We do not agree with the eligibility criteria for support under the new Order. Support should be given to placements to enable them to remain stable, not only when they become unstable. Support should last longer than three years if it is to encourage permanence and respond to the needs of the child. Much clarification is needed on the interplay between the Kinship Care Order and current section 11 Residence Orders. The costs of obtaining a petition (court order) should be covered in all cases, otherwise it would be a significant deterrent to Kinship Carers wishing to apply for the Order. Access to children’s therapeutic and educational services are the priority in terms of support for Kinship Care placements. Social work support is also required by most Kinship Carers. Transport costs, start up grants, and financial allowance should be available to a higher percentage of recipients of a Kinship Care Order than projected. The cross-boundary issue, when a Kinship Care placement moved to a different local authority and support stops, must be addressed in this legislation. Kinship Care is a hidden and under-recognised form of care for some of Scotland’s most vulnerable children. Resourcing of the Kinship Care Order must be increased for it to increase necessary support for Kinship Care children. Kinship Carers are not foster carers and do not require an equal financial allowance to foster carers. However, financial allowances based on the needs of the child, and taking benefit clawbacks into account, must be available under either the new, or old legislation. In future the SNP may want to consider making Kinship Care allowances a Scottish benefit. Kinship Care children should be able to access the same through-care services as other Looked After young people. One purpose of introducing the kinship care order in the Bill is: “to reduce unchecked growth in formal kinship care” (financial memorandum para 128). The policy memorandum explains the rationale somewhat differently at para 117 as: “to encourage more individuals to become kinship carers for those children who do not require regular supervision or corporate parenting and whose long term welfare is best served by being cared for in such a way.” The consultation described the policy intention as: “to provide an alternative to being in care (for those children at risk of becoming looked after or already looked after in kinship care) and, in so doing, improve the support available for kinship carers” (para 151, Scottish Government 2012a). We question the Policy memorandum’s rationale for the Kinship Care Order. It is our experience that regular supervision and Social Work input is crucial for most Kinship Care families, facilitating contact with the child’s parents, and supporting the Kinship Carer in dealing with difficult behaviour, issues in school etc. Though we have sometimes been concerned by the attitudes or approach to Kinship Care placements by certain Social Workers or Social Work departments, there are very few families in our network who want less Social Work involvement. 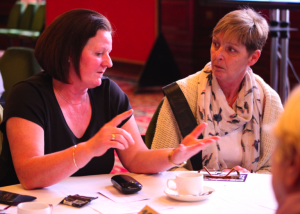 We agree that more people should be encouraged to become Kinship Carers, but this will only happen if there is increased support for Kinship placements, many of which are currently under-supported, or not supported at all by the Local Authority. In other words Kinship Care placements have the same level of need for support as foster care placements. If Kinship Care placements are to be taken off Looked After status they must be provided with equivalent support in terms of corporate parenting from the Local Authority, priority access to specialist services such as psychological and educational help, and financial assistance. We are concerned that the Bill is attempting to save money and improve statistics by taking Kinship Care placements off Looked After Status, rather than aiming to increase the support for, and therefore effectiveness of, Kinship Care placements. We believe the Kinship Care Order is not fit for it’s stated purpose of supporting more Kinship Carers, or increasing permanence in Kinship Care placements. Primarily this is because there is no guarantee of additional support as part of the proposed Kinship Care Order, and the Financial Memorandum makes it clear that there will be no additional resourcing to increase services and support. Secondly, since the proposed Order will only last three years it will not give Kinship Care placements stability or permanence. More details are below. It is important to note that the difference in levels of support offered to children of comparable need in Kinship and foster care placements is a violation of articles 8 and 14 of the European Convention of Human Rights on discrimination. This has been proven in a number of test cases in England, Northern Ireland and Wales. Most recently in a high profile case in Tower Hamlets in London. If the Scottish Government’s aspiration, as stated in the Bill, is to make Scotland ‘the best place for children to grow up in‘, it should be keen to avoid violating the Human Rights of vulnerable children. We are aware that a number of agencies including the Poverty Truth Commission, Kinship care groups in Glasgow and Clackmannanshire, The Scottish Human Rights Commission and Glasgow Social Work opposed the proposed Kinship Care Order in the September consultation on the Bill suggesting that the existing Section 11 legislation could deliver the support and permanence by which the new Order was justified. Many also argued that resourcing for Kinship Care placements would need to be increased to enable increased support, since the tight financial budget is one of the reasons that many section 11 placements do not receive the support and permanence which they are legally able to deliver. We are very concerned that these views have not been taken into account and the Kinship Care Order has gone ahead without addressing these key concerns. We are also concerned that despite two recent meetings with the Bill team, the views of the Scottish Kinship Care Alliance – the main body representing Kinship Carers in Scotland – on the Bill, have not been taken into account, and the Kinship Care Order may in fact reduce, rather than increase, the support offered to Kinship Care placements. Since we accept that the Kinship Care Order is now going ahead despite a majority of responses against it, we have a number of detailed suggestions to make it as effective as possible. Our principle concern is that existing legislation (section 11) is not fully utilized for kinship carers, due to barriers at local authority level. We are concerned that the same barriers will exist for any new legislation unless resourcing is increased and essential support becomes a ‘duty’ on local authorities. In Para 118 it is stated that the type of assistance provided to those eligible carers with a Kinship Care Order ‘will be prescribed by the Scottish Ministers in secondary legislation.’ We would like to know what this ‘assistance’ is likely to entail. We would suggest that the Bill places a duty on Local Authorities to primarily provide priority access to specialist psychological and educational services, at minimum as currently available to Looked After Children, to those in receipt of a Kinship Care Order. There is also a need for financial allowances to support Kinship Care placements. We understand that there is a separate review of financial allowances for Kinship Care placements being carried out and assert that this process should not be de-coupled from the Bill. This is necessary to ensure that overall financial support for Kinship Care placements (as part of the Kinship Care Order and/or under existing section 11 and LAC financial support in various Local Authorities across Scotland) does not decrease, but increases in line with the need of Kinship families in poverty whom we are aware are struggling to cope financially. We are pleased that support will also be offered to 16 year olds who have been subject to a Kinship Care Order. Para 119. – We are pleased that early learning and childcare will be offered to children who have been subject to a Kinship Care Order. However, we would suggest that this is not a priority for Kinship Carers, and that funding for child-care could be more effectively used for specialist services such as educational and psychological support for Kinship children, or a Kinship Care allowance. We also applaud that Kinship Carers will be supported in applying for a Kinship Care Order. The type of support offered, and the extent to which this will be duty on local authorities (to be detailed in secondary legislation) will be crucial. We note that by transferring Kinship Care placements away from Looked After status to the Kinship Care Order they may also lose a number of passported benefits (school meals, uniform allowance etc). Most importantly they would no longer be entitled to important through-care or after-care services. We suggest the Kinship Care Order also acts as a passport to these benefits. In para 120 the Policy Memorandum states that the ‘package of entitlements’ under the Kinship Care Order ‘might need to be adjusted following further discussion with local authorities and kinship carers. We would suggest this wording be changed to ‘will be adjusted..’ and that Kinship Carers are closely involved in designing a suitable package of support, recognising their lived expertise in what is most effective, and also what represents the most efficient use of funds. We applaud the steps taken under the Kinship Care Order to reconcile the artificial distinction between formal and informal Kinship Carers, by making the Kinship Care Order available for both. This goes some way to recognising that the current distinction between ‘formal’ and ‘informal’ Kinship Care (as stated in Financial Memorandum paras 107 – 109) is in many cases arbitrary. We assert that many children in these placements have comparable needs, and the distinction has been made based on social work’s involvement in the placement, or other factors relating to the carer and not the child. This is important as support is then awarded accordingly. However, under the new Kinship Care Order it is crucial that those Kinship Care placements coming through either path are offered the same level of support, centred on the needs of the child rather than the previous legal status of the Kinship Carer. Para 120 – We are concerned with the eligibility criteria for receiving support. The Bill suggests that eligibility will be based on the risk that the child may become Looked After (ie at risk) in the near future. Firstly we want to note that many Kinship Carers currently try to gain Looked After status, as it is the only way to get social work support, services (psychological, educational and respite) and financial allowance which they desperately require. Though from a statistical point of view it may appear beneficial to reduce the number of Looked After Children, from a Kinship Carer’s perspective this would be very destructive unless the same level of support was offered. This criteria for eligibility creates a perverse incentive to appear to have an unstable placement in order to receive support. On the contrary, if stable placements are well supported they will remain so, whereas by not supporting those who appear stable, you risk de-stabilising them and creating a greater future demand for Looked After status. Eligibility for support should be based on the need of the child, not on the legal status of the carer or the stability of the placement. We note again that Kinship children have comparable needs to those in foster or residential care (who are in some cases their brothers or sisters). Access to services (psychological and educational) to deal with trauma and resultant emotional/behavioural issues, and support to enable their carer to give them stability and attention (such as respite and financial allowance) should be evaluated based on the needs of the child and to support their development. The Financial Memorandum makes it clear that support will only be available to a percentage of those who receive a Kinship Care Order. (e.g some transport costs are expected to only be available for 10% of those who obtain a Kinship Care Order, a means tested start up grant of up to £500 will only be available to 50%, and help with the legal costs of obtaining the order to 66%). These projections clearly demonstrate that the eligibility criteria are intended to be set at a high level, making support unattainable for many children in Kinship Care or comparable need. In para 148 the Financial Memorandum suggests that ‘to facilitate properly an earlier intervention approach that is attractive to families and kinship carers and does not stigmatise, local authorities will likely need to develop or commission an alternative type of assessment which provides early parenting support and encouragement’. We agree with the statement, and would be interested to be involved in designing such an assessment. Paragraph 122 of the Policy Memorandum states that support under a Kinship Care Order would last ‘no longer than three years in most circumstances’. One of the stated rationales for the Kinship Care Order is to increase the permanence of Kinship Care placements, giving Kinship Carers more parental rights and responsibilities. We assert that if the Kinship Care Order only lasts three years it will not provide any stability for Kinship Carers. Evidence (from Buttle UK, Citizens Advice Scotland, CELCIS and our own networks) shows that children in Kinship Care generally require support for the majority of their placement, and their needs may not drastically change after three years or more. We would suggest that there is an annual, or less frequent, review of the needs of the child, and support can be altered accordingly. What will happen to those not on a Kinship Care Order, or after the Kinship Care Order has expired? If a Kinship Care placement is transferred from LAC status to a Kinship Care Order will they only receive the ‘transitional’ support offered after an eligibility test (plus any welfare benefits they are entitled to of course), or will they also be entitled to support and financial allowance currently offered to those on a section 11 (which varies between Local Authorities). Will a Kinship Carer currently on a section 11 be able to chose not to apply for the Kinship Care Order and still receive the existing support offered to section 11 placements? If a Kinship Carer on a section 11 applies for, and is granted, the Kinship Care Order will they continue to receive the existing section 11 support, plus any additional support under the Kinship Care Order? Or will they ONLY receive the new support? If a new Kinship Carer wants to apply for a section 11 will they automatically be directed to the new Kinship Care Order? In which case will they be eligible for the existing support allocated to section 11 placements as well as the new support under the Kinship Care Order (following eligibility test)? Will Kinship Carers currently holding a section 11 Residence Order be automatically transferred to a Kinship Care Order or will they need to apply? Does that mean that those in receipt of a Kinship Care Order will be entitled to the existing support offered under section 11 (which varies in different Local Authorities), as well as any additional support following the Kinship Care Order eligibility test? Also, once the three years of a Kinship Care Order are up, can the Kinship Carer go back to a section 11 status and continue to receive the existing support? If not what support will be offered once the three years has expired? Clarification on these questions is crucial for us to assess the outcomes of the proposals in the Bill. We applaud the intention of para 123 and 124 of the Policy Memorandum to place a duty will on Local Authorities to assist Kinship Care families with ‘distress’ such as that related to family conflicts or substance misuse. However, we would add a duty on Local Authorities to provide access to therapeutic and educational support services for children in Kinship Care, according to their need. This is the main concern of Kinship Carers in our network, many of whom are struggling to cope with the behavioural difficulties and health problems of the children in their care, caused by their early years traumas. We would also again note evidence that some local authorities are failing to implement their existing duties to support children in Looked After Kinship Care placements. Barriers to the proper use of existing legislation should be examined in the context of duties placed under the new Kinship Care Order. We are also concerned that the Kinship Care Order will not provide appropriate social work support, such as that currently offered to Looked After Children. Social Work support is crucial to facilitate contact with the child’s parents and other serious issues with behavioural difficulties and referral to appropriate services. There is evidence that Social Work departments are already struggling with high case loads (see Glasgow Social Work’s previous response) and many ‘Looked After’ Kinship Care placements already receive very infrequent visits. The onus will be on Social Work departments to carry out the Kinship Care provisions laid out in the Bill. Significant investment in Social Work departments will be needed to make this possible. We agree with the other types of support available as part of the Kinship Care order (legal aid with getting the Order, transport costs, start up grants, and some financial allowance), though we are concerned about how many carers will be eligible for this support, as stated in the section on eligibility. In particular, we are concerned that the costs of obtaining a petition (court order) for a Kinship Care Order should be covered in all cases, otherwise it would be a significant deterrent to Kinship Carers wishing to apply for the Order. We are concerned that increased funding for Legal Aid will be required to make this possible, as many carers already have difficulty obtaining court actions for Residency Orders (section 11) due to cuts to Legal Aid. We would also note that paragraph 114 of the Financial Memorandum states that many Kinship Carers can use a bus pass and would therefore not be entitled to transport costs. We would again assert that assistance should be based on the needs of the child and not the carer. In many cases Kinship Carers need to use taxis to take distressed children to hospitals, doctors, school and other services. Help with transport costs should be available to a much higher percentage of Kinship Care placements. A common problem for Kinship Carers arises when they take care of a child who’s parents live in a different local authority, or move to a new local authority themselves. This can lead to a total freeze on support as the local authorities argue about who is responsible for the child, and neither authority takes responsibility for their care. This issue must be resolved in any new legislation. Support should be allocated via the authority in which the Kinship placement is made and, and should move with the child to wherever they currently live in that placement. The Financial Memorandum states that rather than investing more in resourcing Kinship Care placements the Bill will actually save money over the coming years by reducing the support offered to Kinship Carers overall (mainly by taking them off Looked After status). The only increase in spending necessary by Local Authorities will be a total of £2.6 million across Scotland to account for the transition to a new legal framework. There will be no increase in funding for financial allowances, psychological or educational services, respite, or any other form of support for Kinship Care children or their carers. This can only mean less support overall. We assert that more support (primarily services, and also financial allowance) is desperately required for children in many Kinship Care placements. In their September response to the Bill consultation COSLA has also made it clear that the barrier to increasing the support for Kinship Care placements is finance. Local Authorities are already struggling to fulfil their duties to Looked After and section 11 Kinship placements, and have been unable to fulfil the Scottish Government’s 2007 concordat agreement to pay Kinship Care placements an equal rate to foster carers because of inadequate resourcing. The Scottish Government must put considerable financial resources behind the Kinship Care Order if it is to be effective in increasing and improving Kinship Care placements. We would suggest that resourcing of services (psychological and educational support for the child, and respite for the carer) is a priority here, and financial allowance secondary in importance. This should be seen as a perfect fit with Scottish Government priorities on early intervention and preventative spend. Clinical evidence has clearly shown that early years traumas such as foetal alcohol and methadone syndrome, and separation anxiety, commonly experienced by Kinship children, must be treated as early as possible to prevent them becoming ingrained patterns which are likely to disturb their development12. If left untreated this will ultimately cost the NHS and other services more in the future. Para 126 and 127 of the Policy Memorandum agree that Kinship Care placements have the best outcomes for children who would have gone into the care system. We assert that unless Kinship placements are better supported more children will end up in formal care, costing the government much more than a well supported Kinship placement. We note that very little financial support will be provided as part of the current Kinship Care Order. ‘Transitional’ allowance will only be available for those transferring from Looked After Status, and only 75% are expected to be eligible, for a limited three year period. We note again that children in Kinship Care have the same needs as those in the foster or residential care system, and many Kinship Carers struggle on pensions and basic benefits, and are unable to work due to the demands of the child in their care. We are also concerned that the Bill is relying heavily on the UK benefits system to supplement the finances of Kinship Carers. We are worried that the Bill has not taken account of the UK welfare reforms currently taking effect. These benefit changes will leave many Kinship Carers worse off and in more desperate need of additional finances, which the Kinship Care Order could provide. We suggest that the Kinship Care Order entitles any successful applicant to a financial allowance. We would be willing to discuss the appropriate level for this allowance with the Scottish Government. It should be noted that many authorities currently pay Kinship Carers of Looked After children considerably more than £70/week, while some also pay those on a section 11. This needs to be discussed and negotiated with Kinship Carers rather than an arbitrary amount designated at this stage. We note that the questions on what would happen to the existing financial entitlements under section 11 are very relevant here. The conclusions of the review of financial allowances for Kinship Care placements which is currently being carried out will also be very important and cannot be de-coupled from this Bill. COSLA have stated in their September response that they do not want to be an ‘income maintenance’ agency, and also note that they are struggling to achieve parity of allowance with foster carers (for Looked After Children in kinship care). Firstly, we again assert that financial allowances should be based on the needs of the child not the legal status of the carer, and should therefore also be available to section 11 (or new Kinship Care Order) Kinship Carers. On this point we want to clearly state that Kinship Carers are not foster carers and do not require a wage from the state for their parenting role. They do however require a basic allowance to enable them to provide for the children in their care in old age. Many Kinship Carers are in poverty and struggling on a pension, and basic child benefits (see evidence from Citizens Advice Scotland). That allowance should take benefit claw-backs into account. Kinship Carers mostly do not, and cannot work, due to their age and the high needs of the children in their care. Some Kinship carers have given up paid employment to enable them to care full time for their children.We look forward to contributing to the review on financial allowances in the near future. Secondly, this raises the question of how the SNP Scottish Government sees financial support for Kinship Care placements in the event of an independent Scotland. Would this be a benefit paid by the Scottish Government? This should be considered with regard to the financial review and the Kinship Care Order. We are also clear that we do not want any increase in support for Kinship Care placements to come from a cut to other parts of children’s services (for example increasing social worker’s case-loads which will impact on others). A genuine investment in the sector is needed. We are aware that we are asking for a significant financial input, but assert that Kinship Care has been a hidden and unrecognised form of care, which desperately needs recognition and resourcing. Kinship Carers should be rewarded for the high quality and stable caring they give to Scotland’s vulnerable children, and for their role in keeping kids out of the expensive care system, not penalised for being a family member. We suggest that if the Scottish Government goes ahead with the plans to introduce a kinship care order, it further legislates to ensure that young people subject to a kinship care order are able to access the same throughcare and after-care services as young people who have been formally looked after by the local authority. This would acknowledge the fact that, were it not for the kinship care option, many young people in this situation would be looked after by the local authority and may have similar needs and vulnerabilities as young people who have been looked after by the local authority. We also agree with CELCIS and others that the legal duty should be on local authorities to provide assistance, not on the young person to have to request it. Also, that there should be appropriate mechanisms in place to allow young people to challenge the outcome of their requests for support. Through and after-care services have historically been under-resourced and perhaps seen as a privilege by the Scottish Government. But evidence shows that through-care has a strong determining effect on a young person’s life chances after care. We would urge greater resourcing in this area. 1Bruce Perry et al. 1995 ‘Childhood Trauma, the Neurobiology of Adaptation, and “Use-dependent” Development of the Brain: How “States” become “Traits” ‘. Infant Medical Health Journal. Vol 16, No 4. 2Bruce Perry and Ronnie Pollard. 1998 ‘Homeostasis, Stress,Trauma and Adaptation: A Neurodevelopmental View of Childhood Trauma’. Child and Adolescent Psychiatric Clinics of North America. Vol 7, No 1.